It is an extraordinary time in the health care industry. Rapid advances in medical technology, the push for more personalized health care, a demand for real-time access to information and the ever-increasing cost are all happening at once. So many challenges, with many of them unique to the health care industry. How can organizations begin to tackle them? The Institute for Healthcare Improvement (IHI) has attempted to distill the issues and optimize health system performance by using what they call the Triple Aim Initiative. IHI says that in most health care settings, no one is accountable for all three of these dimensions, but for the good of the system and the patients, the three Triple Aim dimensions must all be addressed at the same time. IHI recommends a change process that includes: identification of target populations; definition of system aims and measures; development of a portfolio of project work that is sufficiently strong to move system-level results, and rapid testing and scale-up that is adapted to local needs and conditions. Boiling this all down to the simplest terms, it’s a matter of doing more for less, as well as servicing patient communities better and more efficiently in the long run. In practical terms, to accomplish the Triple Aim Initiative, health care delivery needs to be smarter and more efficient. That is where analytics capabilities and insights can play a big role. The time is right to extend and evolve insights that analytics can provide in health care because the source data is becoming more and more available just as the techniques and capabilities to utilize the data become mainstream. Electronic Medical Records are much more widely adopted now than just a few years ago, and the data floodgates have opened with the availability and use of wearables, mobile devices and a host of other personal and home health monitoring devices. Analytics can provide benefits for each of these operations individually, but they can also be combined to interesting and powerful effects. For example, a health care organization might combine population health information with clinical cost variability analysis to explore the relationship between costs for different populations. Then, they could perform patient segmentation analysis to designate a population for risk management and follow up with patient monitoring based on home health care monitoring devices. Think about the possibilities! Fortunately, the tools to develop these kinds of capabilities are readily available. SQL Server Reporting, Power BI and Cortana Analytics are made to order for this kind of work and are already being used by many health care organizations. 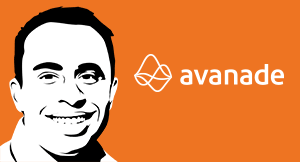 Add in the big data tools available in Azure and other platforms, and you can see how easily enterprises can be fully equipped to handle analytic challenges. There are several things to keep in mind, however, when embarking on an analytics journey in the healthcare space. 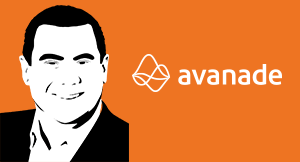 First, many organizations in the industry, particularly on the provider side, are not necessarily sophisticated consumers of data and analytics. Some of the required infrastructure may be missing or immature, so work will need to be done around data movement, integration, mastering and warehousing. Much can be learned from other industries, like banking, about how to treat and handle vast amounts of sensitive data in a respectful, confidential manner. Second, some of the data may be challenging to access, particularly if it is clinical data in an Electronic Medical Record. Some of these systems are tricky to integrate with from a technical perspective, and in all cases health care providers are cautious regarding access to these critical systems. Third, health care data comes with very specific rules regarding privacy which places a higher, but by no means insurmountable, set of controls over transport and securement of the data. This is further complicated by the massive increase in data coming in. An Accenture study, Healthcare IT: Top 5 eHealth Trends Reshaping the Industry in 2015, reports that 41 percent of health executives say the volume of data their organization manages has grown by more than 50 percent in the last year. With the many challenges being faced in today’s radically and rapidly evolving health care world, analytic applications can offer a potential lifeline to organizations that are tasked with both safeguarding their patients’ wellbeing and getting their economics under control. There’s no denying that challenges exist, but with the help of analytics, success can be achieved and the rewards are certainly worth it. An organization that wants to reap these rewards doesn’t have to go with a big-bang approach. To this end, a health-specific analytics adoption model can provide a roadmap for an organization’s journey to achieve the Triple Aim. The model describes the journey from nascent to mature analytics capabilities, and there are significant benefits available even at the beginning of this scale. For example, now that the EMR installation wave is mostly over, we have a great deal of clinical data being captured. However, the reports available are typically not well suited for exploration and actionable insight, not to mention the difficulty and expense in creating new ones… the so called “last mile” problem. With a modest investment, this data can be accessible to powerful and agile data analysis tools. These include self-service capabilities benefitting both sides of the equation by decoupling data analytics from the standard IT cycle. As the benefits of analytics become more widely understood, organizations can move up the scale from reporting to insight, to predictive and prescriptive analytics, and can be prepared to intelligently engage in the new economic models that are transforming the industry in this time of extraordinary change. Health care is ready for digital transformation. Changing consumer expectations combined with new technologies have pushed even the largest health care providers to innovate and improve patient care. 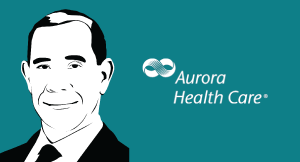 On this episode, Preston Simons, CIO of Aurora Health Care, discusses transformation in this important field. A "learning health care system" uses data to see which therapy provides the best outcome for a set of characteristics such as cell biology and genomic makeup. 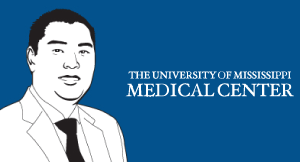 David Chou is CIO of the University of Mississippi Medical Center in Jackson, MS. He is responsible for all technology related to the three missions: education, research and patient care.UMMC includes five hospitals and University Physicians. 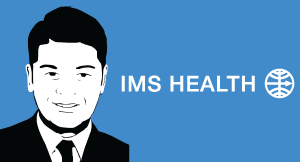 Recent cyber attacks show how vulnerable patient medical records are to theft. To lower the risk, executives must make cybersecurity a priority. Data and analytics will play an increasing role in transforming health care in the coming years. Part of this digital transformation involves connecting health care strategy with more efficient delivery mechanisms based on aggregating and using the right kind of data.